Hues are soft yet grown-up — snow, fog, lavender, blush. And after years of dark, heavy wood and stolid furniture, we’re seeing elements with a lighter footprint. It’s a shift of light, in color and design. Hues are soft yet grown-up — snow, fog, lavender, blush. And after years of dark, heavy wood and stolid furniture, we’re seeing elements with a lighter footprint. Blond woods such as maple, ash and birch. Whitewashed oak and pine. Legs are more tapered, profiles more attenuated. 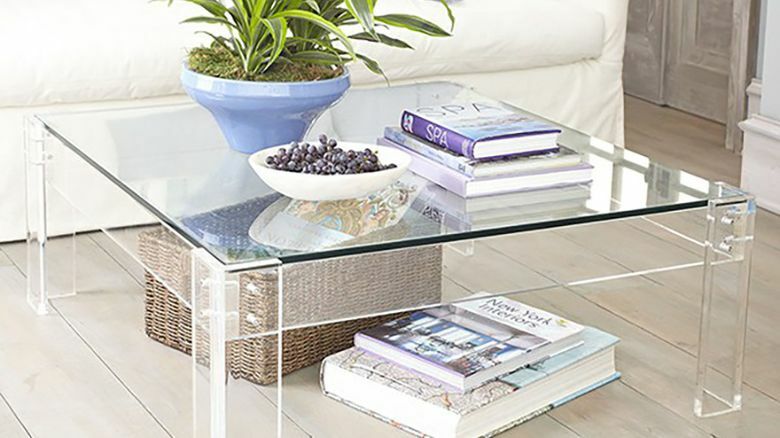 There are more reflective surfaces — metals with patinas; mirror finishes; and transparent or opaque acrylics. You can opt for a soft, casual approach with weathered woods and creamy linens, or a more dressed-up version with crisply tailored whites and burnished metals. Don’t go overboard, however. You’re after rooms that look attractive, interesting and livable. Rooms dressed top to bottom in unrelieved white or one neutral hue may look stark and clinical. Adding textures, eclectic pieces and artwork keeps the spaces comfortable. 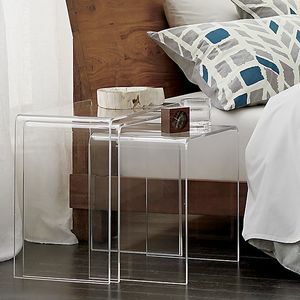 Kardiel offers the chic, tufted Edward Mid-Century Modern Classic Ottoman ($595) that pairs white cashmere wool with stainless-steel legs. 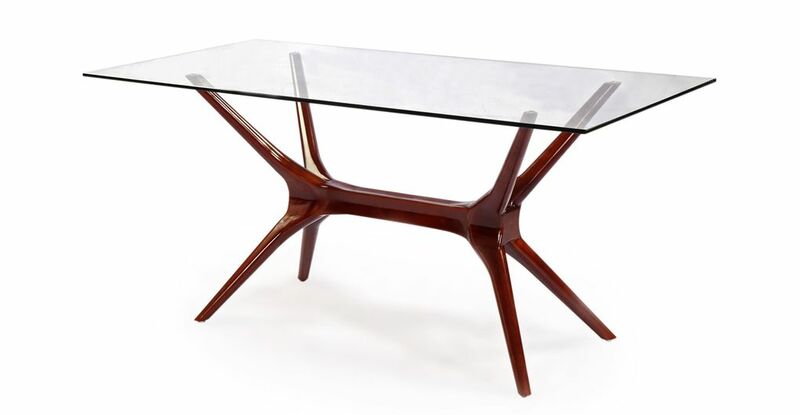 The Sputnik Mid-Century Modern Dining Table ($599, both at kardiel.com) is a slim glass slab balanced on shapely walnut legs. At Design Within Reach, Swedish designer Greta Magnusson Grossman’s Grasshopper Floor Lamp ($612.50–$875) perches a conical head on lithe legs; it’s available in hues like salmon, putty and blue gray. 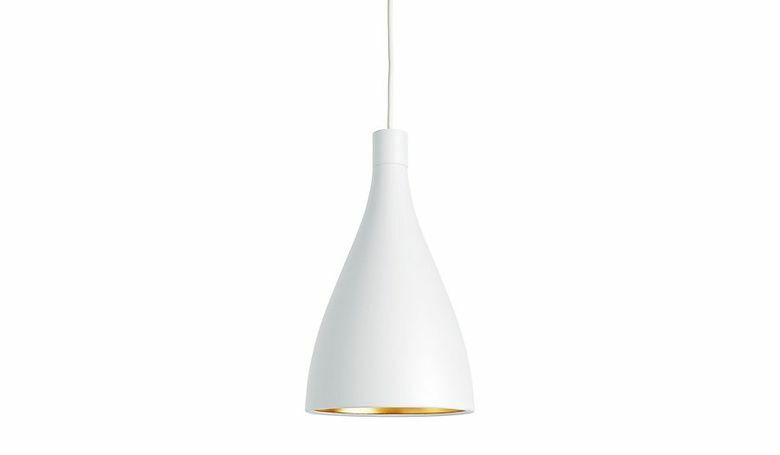 Pablo Pardo’s Swell Pendants ($249, both at Design Within Reach, downtown) in matte white with anodized brass interiors evoke the simplicity of water droplets, and come in three sizes. 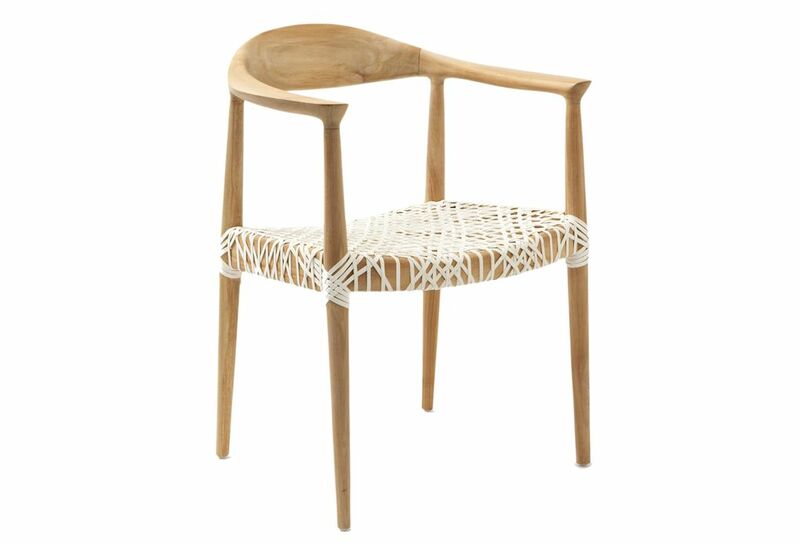 Light, reclaimed teak and a lacy rope seat make Safavieh’s Bentley Arm Chair ($239) a contemporary standout at AllModern.com. 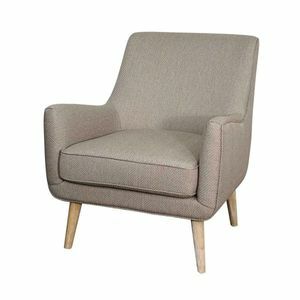 And the Apt2B Faris Accent Chair ($488 at apt2b.com) is a comfy midmod chair that could live in a bedroom or living room. The warm taupe version has a subtle texture with sold birch legs.